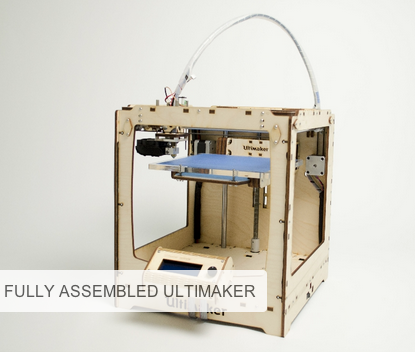 I’m really excited that our company has just started offering fully assembled Ultimakers in addition to the kits!! The Ultimaker: the Fast, high-detail 3D printer! Don’t worry, we won’t drop the kits from our offering any time soon! We’re still great supporters of the hacker community. Also… we keep on innovating and won’t leave early customers with a ‘legacy machine’ empty handed. Specifically, we provide the opportunity to upgrade your Ultimaker to make sure you enjoy the benefits of those who bought the latest version of the Ultimaker. We’ve done this through upgrades such as the UltiController, the new Hot-end, an extruder drive upgrade, etc. Ultimaker provides upgrades for you to enjoy the latest 3D printing innovations! Next story Google Glasses have arrived! Previous story Ultimaker @ Codebits 2012!